Yealink VC Desktop for Windows is the newest addition to Yealink’s pioneering One-stop Video Conferencing Explanation, primarily for the people who work in the office, in commercial travel or at home. Yealink VC Desktop is a high-quality, best-in-class high definition audiovisual collaboration program shaped to modernize communication for today’s businesses. The product bids a best one-click system procedure with fast involuntary connection, removing the need for long, manual efforts. End users will also advantage from the product’s easy navigability over an HD display. Yealink VC Desktop is highly compatible with a comprehensive range of Windows versions plus Windows XP as well as versions 7, 8 and 10. What’s more, Yealink VC Desktop supports NAT as well as Yealink’s Smart Firewall Traversal for risk-free video conferencing. We supplies a full range of IP Telephones / SIP phones to match every task and budget. If you are searching for SIP-based phone, whether for an open source IP PBX or proprietary PBX System, we’ve got it covered. 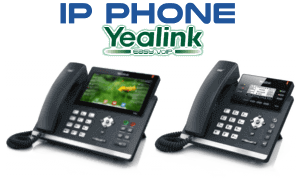 We carry all the Yealink IP Phones, Yealink Conference Phone, Yealink Video Conferencing System & Yealink Dect Phones. Contact Us today to get best Yealink Prices found in UAE.